Sometime customer brows site and like a product, but if the product is not in stock then, it’s better to have a system to notify customer when it’s available again. Stock Notification is an extension for Magento 2, which allow customer to get notified when a product stock is available and ready for purchase. Customer just put their email and subscribe for that product, then email will be sent when the product available. 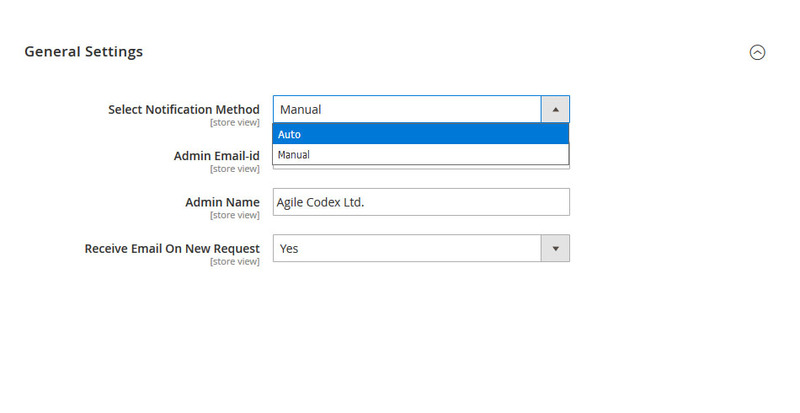 Admin configure many option from admin panel which gave admin flexibility to control module’s functionality. Admin can set which email name and id mail will go out from. Enable / disable notification for customer about new request. Change mail template etc. admin can also set if the mail should send automatically or manually. Email template for both stock and new request template can change from admin. So, admin can create new email template from Magento and set it from settings as per you store styles and content. Stock Notification support both guest user and registered user. All customer have put their email and subscribe. Registered user’s email get filled automatically so they don’t have to put email unless they want to use different email then account email. Customer also get a subscription info message when they move cursor over the email id field. Stock Notification also support configurable product as well as simple product. If customer subscribed for a product then if any child product is out of stock, customer will get mail when that child product is in stock again. Admin can view and manage all notification subscription. Customer email, notification status, product name etc. is included on the subscriber list. Admin can send any no of customer notification email manually and easily. It also allow admin get an overview of stores stock status.